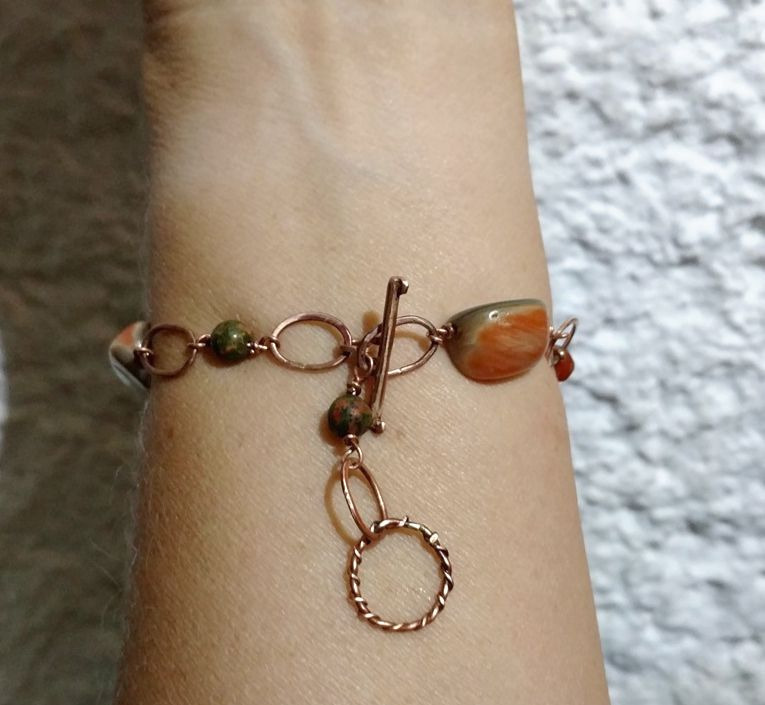 Artisan copper chain bracelet for women, entirely handcrafted. Only one of a kind. 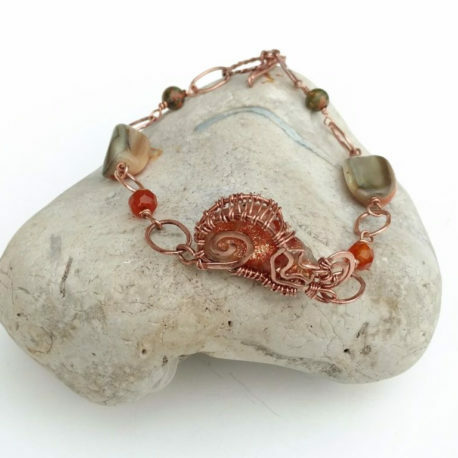 The centerpiece is the cat charm composed of 2×1.5 cm genuine Oregon sunstone cut in the cat shape and wrapped with a 0.6 mm copper wire. The wire has been woven around the cat. 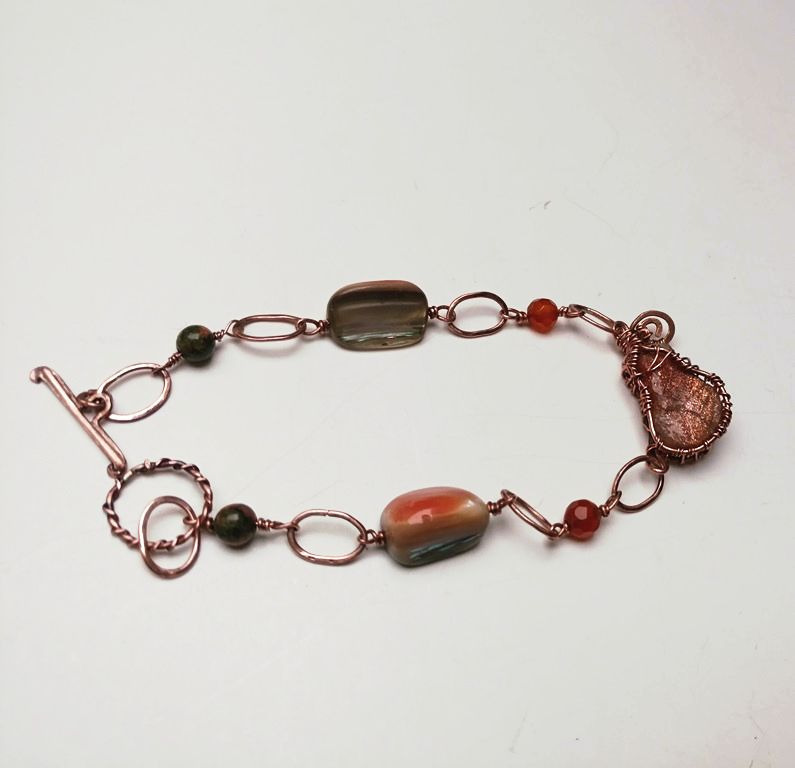 The orange tone enhanced by copper gives an amazing extra touch to the bracelet. 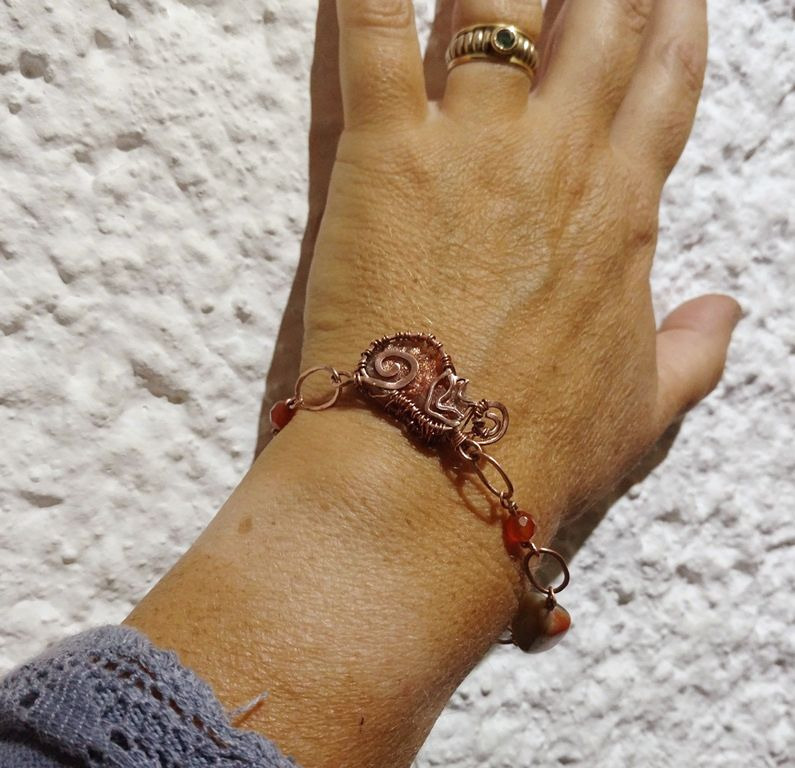 It is all warm and sunny and rustic autumn bracelet. 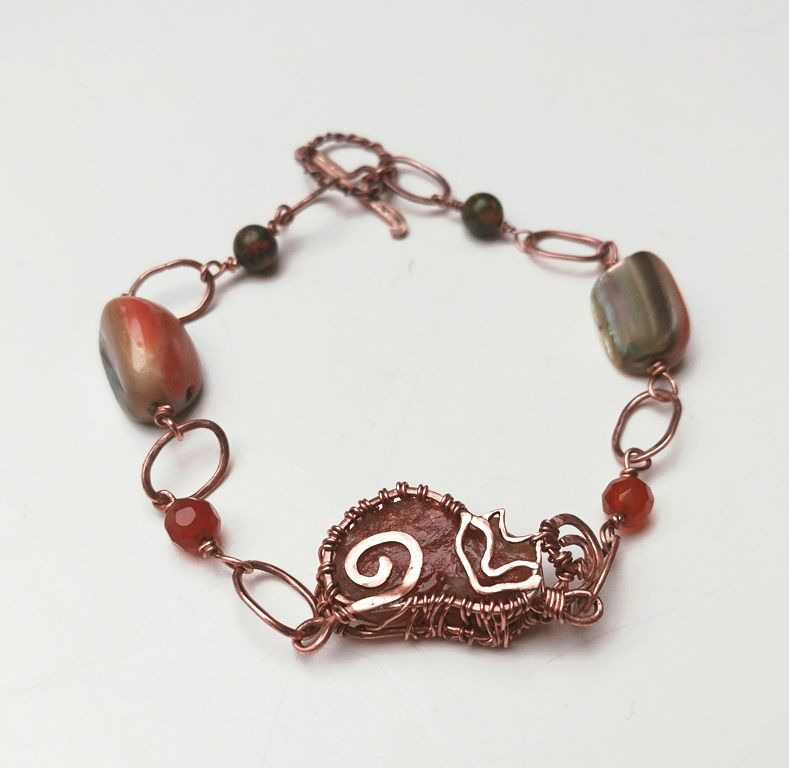 The handmade links have been soldered (closed). 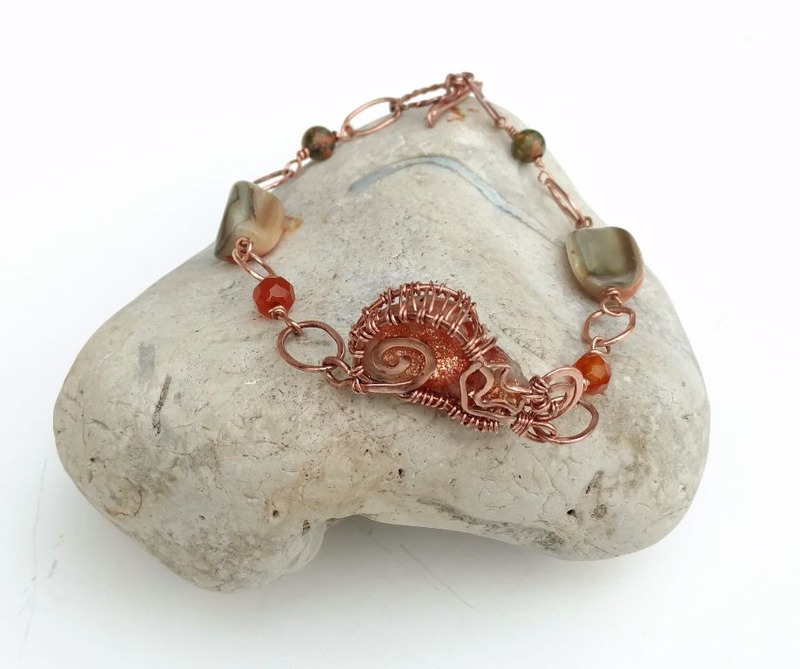 They are connected with beads by a copper wire (0.8 mm). 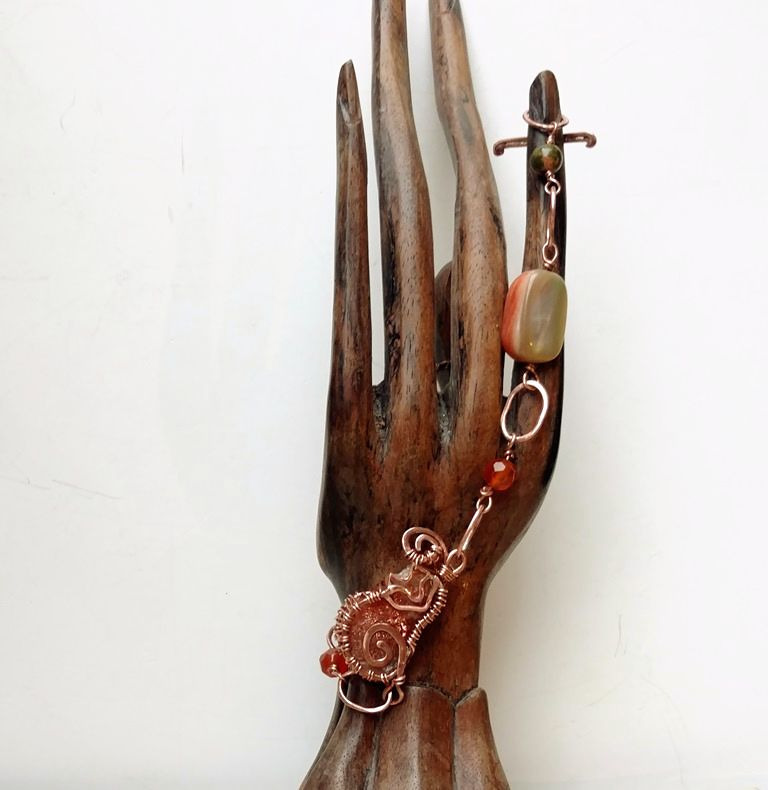 Sunstone is a feldspar, and is named for its warm shades of gold, orange, reds and browns that sparkle like the sun. It has the effect called chatoyance: when viewed from certain directions it exhibits a brilliant spangled appearance; this has led to its use as a gemstone. It has been found in Southern Norway, and in some United States localities. It is the official gemstone of Oregon. Sunstone was not common until recently. It is a stone of joy and happiness, it brings openness, benevolence and warmth, strength, mental clarity, and the willingness and ability to bestow blessings upon others. It has the power to heal depression too. It increases vitality activating the 2nd and the 3rd Chakras. 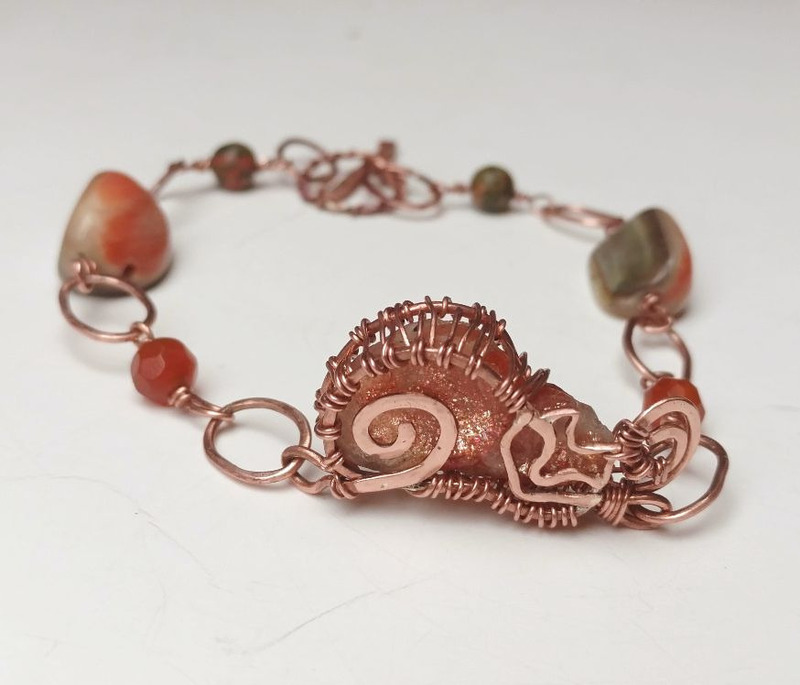 Sun stone is – of course – the birthstone of Leo (22 July – 23 August) but it is such a lucky stone that it can be worn by everyone.